Caring for your horse also involves checking the hooves. More often than not, owners don’t think of extensive care, unless there’s a major problem or disease that needs attention. In this post, we’ll be discussing further on horse hoof care, diseases, symptoms, and treatments in detail. This is an infection that affects the frog of the hoof. Typically, there’s a discharge on or around the frog, and the smell will be too much to bear. Thrush can be treated easily with medicines, but your veterinarian is the best person to advise you on this. Hoof Bruise. As the name suggests, Hoof Bruise is a bruise that causes damage to the tissues. It can be visible in the form of patches on the hoof wall. Bruising can be an issue related to shoeing, trauma, or even exercise. Cushioning and extra protection are particularly useful if this is a small bruise, but if it doesn’t heal soon, you have to consider consulting a vet. White Line Disease. This is an infection of the white line that can cause separation of hoof wall layers. This can be a major concern and even lead to lameness, so do seek the opinion of an expert as early as possible. Navicular Syndrome. This basically refers to heel pain. Navicular Syndrome can be related to working on hard surfaces, or extensive working in particular. Your horse will feel lazy and may not want to move. Treatment options can vary, but typically, the vet will insist on checking a few things. Solar Abscess. This is an infection that can affect the sensitive tissues and can cause pain. You may find that the horse is not putting any weight on its legs. Often, Solar Abscess is caused by an injury. The abscess must be drained and the hoof bandaged as part of the treatment, while the vet will also recommend antibiotics. It’s important to understand that hooves need attention in all seasons. In the summer, you should be trimming the hooves at least once every six weeks, or as frequently as required. In the winter, trimming is done less frequently, typically around every six to twelve weeks. It’s important that you keep an eye on the hooves on a regular basis, and find the possible issues that the animal might be facing. We recommend that you check for abscesses, discharge, or pain, and if any of that happens, your animal will not be as normal as usual. 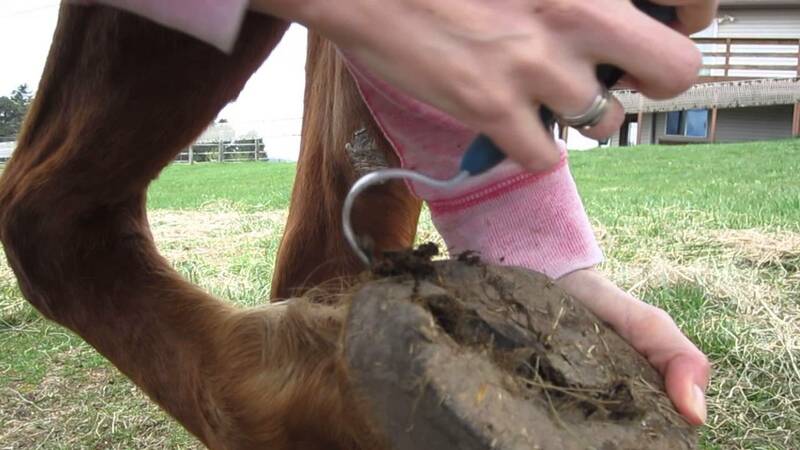 Don’t try and treat hoof disorders and diseases at home. A vet is your best bet for handling any kind of disorder, because some of these conditions can be serious in the long run. If you see cracks, use hoof moisturizers that are available on the market, and these are often required in winter. A lot of hoof problems that are not related to injuries can be prevented with a good and balanced diet, so keep an eye on that.